I welcome you to 6th grade Math. I think you will find math this year to be enjoyable and informative. I look forward to a good year. 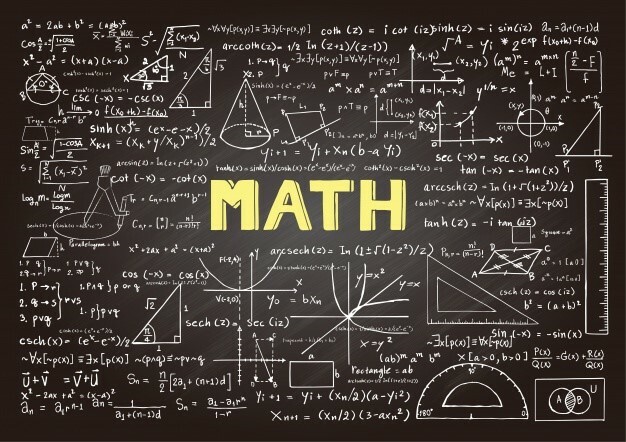 The 6th grade Math curriculum includes topics such as: Arithmetic Operations, Fractions, Ratios, Rates, Percent, Algebra, Geometry and many other topics. The students will receive a textbook in class, and they will also be able to access the book online as well. The online textbook has some great resources. There are tutorial videos and practice quizzes for each lesson. I highly recommend that students take advantage of these tools. There are so many opportunities to join clubs and get involved here at the middle school. You will soon be getting a flyer listings all the clubs. In 6th grade there are two Math clubs; Math Olympiads and 24 Math. I will have the opportunity to meet with your parents during open house on Thursday, Sept. 20th. = Student Agenda will be given out in homeroom and should be brought to Math daily. Math extra help will be weekly on Wednesdays after school, in room E2-16. Students should come to extra help with their math materials and questions. = Homework will be assigned, but not necessarily on a daily basis. All homework assignments will be posted on the classroom homework board and also on my eschoolview. = When absent, students can pick up any missed assignments from the "Absent" folder, check my eschoolview, and check with their homework buddies. = For an extended absence, please contact Guidance to request assignments from your child's teachers. = Please come to class prepared with your Math materials. = Take out homework when the bell rings and copy the new homework. = Complete any "Do Now" on the board. = Follow Commack Middle School's three R's: Respect, Responsibility and Relationships. Username: "com.student Id #". If the student's Id starts with a zero, then drop it.